Our reclaimed wide plank Maple flooring has a natural creamy white appearance with varying tones of brown heartwood. Grain patterns vary from flat-sawn, to swirling and even some bird’s eye maple is included in this classic flooring choice. Adding an oil-based finish will enhance the natural tones in this wood, presenting a golden brown hue. 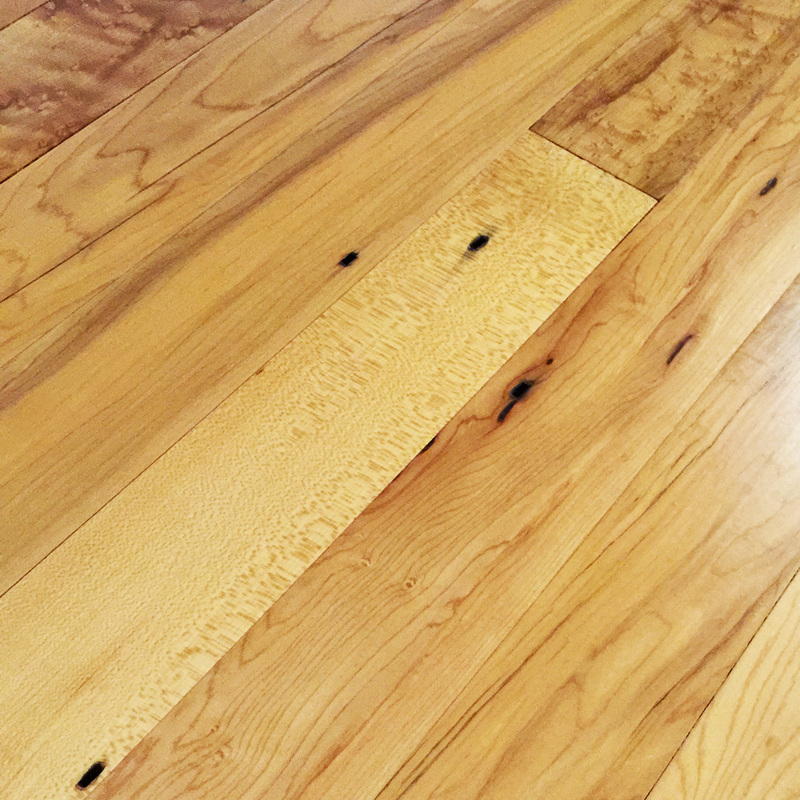 The most common source of reclaimed maple is from original floors such as bowling alleys, gym floors, mills and antique homes. Occasionally we source antique maple from sleeper beams and timbers that produce unique variations of tap and spalted maple.